As your company grows and you start to hire employees, there are responsibilities that come along on that journey. Looking after your employees is a key consideration. A Workers Compensation policy (sometimes called an Employee Injury Compensation policy) is an insurance program set up to help both SMEs and larger firms manage some of the consequences of employing others if certain things go wrong. In simple terms, a Workers Compensation policy will provide your employees who get injured on the job with benefits to make up for lost wages while they are off work. So why should employers bother with Workers Compensation Insurance? • All employees doing manual work, regardless of salary level. • All employees doing non-manual work, earning $1,600 or less a month. 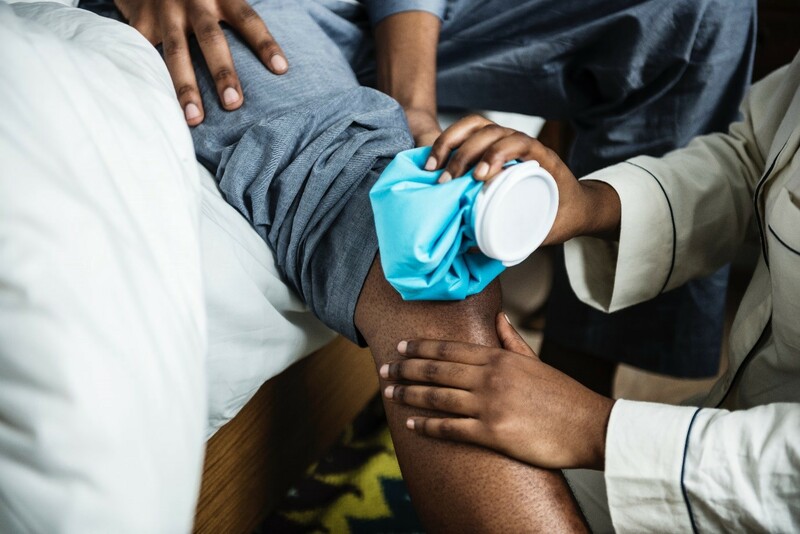 “Work injury compensation insurance allows employees to claim for work-related injuries and helps employers from bearing the burden of hefty compensations and medical costs. You have been warned. Many other countries have similar obligations for employers. It’s worth stepping back and describing the legal landscape which explains why Workers Compensation policies came to exist. The original form of “accident insurance” was created in Germany about 150 years ago. Some employers were facing bankruptcy when their employees were injured and the employer was liable. But the employee had to start legal proceedings to get that compensation, often when they didn’t understand their rights and at a time when they were also struggling to get fit and well again. This became a significant drag on economic growth, and, not least to improve the rights of employees, it made a lot of sense to pool the liability risk in the form of an insurance solution. The idea spread quickly across Europe, Australia and then North America. It makes real business sense for both employers and employees to offset this risk so the concept is getting increasing traction across countries in Asia too. The key point here is that it doesn’t matter whether your jurisdiction requires you to buy a policy or not — as the employer you still will likely have to pay up if your employee gets hurt at work. Insurance will help mitigate this risk — and in the case of a serious incident or accident, this may mean your company doesn’t go bust. The world is getting more litigious these days in every jurisdiction. Having insurance doesn’t mean you avoid your legal responsibilities — but it should reimburse much of the cost your business incurs as a result of an employee accident. Many employers don’t realise the extent of their liability to employees. Whilst it can vary greatly in different jurisdictions, employers are not only liable when the employee is at work doing their normal job. Here are a few examples that may apply. It is important to check what is applicable in your country. i. Think of the policy as ‘no fault’ compensation. The employee will be paid for an injury that occurred at work, even if it was partially their fault. Whilst the employee doesn’t have free reign to injure themselves on purpose in order to collect benefits, if the injury arises out of, or is within the scope of their employment — even if they might have been careless — then they are usually covered. ii. However, if an employee receives benefits for an injury that happens while they are under the influence of drugs or alcohol, then, in that case, the coverage will not apply. iii. The employee doesn’t have to be at their normal place of work. As long as the employee is injured within the scope of performing their job, they are usually covered. Examples might include a salesperson who is injured at a hotel where they are staying at for business purposes, or an employee who’s injured while out running an errand on behalf of the company. iv. Employees are also typically covered if they’re injured while attending a company-sponsored event such as a dinner and dance, retreat or similar. v. On the other hand, Workers Compensation may not cover employees who were injured while on lunch or other break, even if they are on company property. Accidents happen. Whilst as an SME employer this might be the first time you have faced a challenge of this type, your insurance partners have had plenty of experience and can provide the best advice as to how to proceed. When a policy is in place, the employer should work with both the insurance team and employees to make the process as effective as possible. In the event of an accident, prompt insurance notification (ideally, the same day) will activate that support. The insurer is keen to manage the process in a way that keeps the cost down and that usually means keeping the time off work for the employee to a minimum. Getting the employee back to work as soon as reasonably possible — even if it is for light duties at first — is in everyone’s best interest. A good insurance team can help guide the way. Let’s think this one through for a moment. Why should you as the employer reduce lost wages — if the insurer is covering the costs? Why should you aim to have the number of claims drop if there is insurance to cover each claim? Well, it’s not only about showing your employees you care about their health and wellbeing. It’s also about the financial bottom line. Keep these costs down and the likely outcome next year is insurance premiums drop too. Sounds like a good thing, right? Employee fraud does happen, but most research has shown this is a drop in the ocean. There is unlikely to be any correlation between buying insurance and an increase in employee fraud. Therefore, this should not be a primary concern for the employer, when deciding whether to buy a policy in those jurisdictions where purchase is optional. It’s easy these days to get the right Workers Compensation policy for business needs, and by using an online platform the SME can get a good comparison between quality providers. The pricing will vary depending on the duties carried out by employees. The biggest factor in determining cost will be the risk the employees face. With higher risk comes a greater need for Workers Compensation. High-risk industries, such as construction, will typically pay more than companies where most workers have a desk job. While strong safety standards and procedures can offset the danger, the more hazards employees work with, the higher the coverage levels that should be considered. Common risks associated with construction, for example, include falls, trench or scaffold collapse, electric shock, and repetitive-motion injuries. These injuries are less likely in an office. The cost of living and medical costs in the local jurisdiction will also affect premiums. That means employees need to be paid more money to maintain a similar standard of living. It also means the costs of treatment and remediation are higher. Therefore, losses due to injuries on the job are higher than if they were employed in other, lower cost, jurisdictions. When looking for Workers Compensation insurance the employer should always compare prices, coverage and reputation. The SME needs a provider that responds quickly and ideally, an intermediary that has both the employers and employees best interests at heart — and is not biased in favour of the insurer. All employers prefer to give good news messages to their employees. Encouraging loyalty and building trust with the workforce is an ongoing project for any SME owner. A very practical message in supporting that relationship is buying sufficient insurance coverage to protect employees in the event of an accident at work. Buying the right levels of Worker Compensation insurance is sensible from the point of protecting the company bottom line. But it is also a very solid example you can give to employees to show that you truly care about their wellbeing.